Let your guests enter coupon codes for discounts. They can be limited by time and amount of usages and can apply a percentage discount. 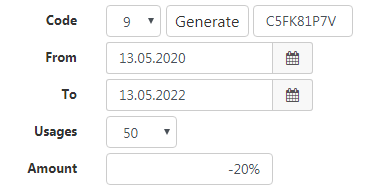 Adds a new form field and the coupons discount will be in the live calculation.